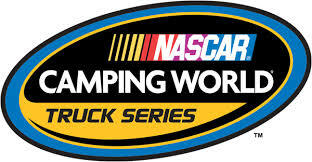 LONG POND, PA (July 27, 2015) – The Pocono Mountains 150 at Pocono Raceway will feature the stars of the NASCAR Camping World Series (NCWTS), along with NASCAR Sprint Cup Series (NSCS) drivers Kyle Busch, Austin Dillon, Kevin Harvick and Brad Keselowski, on Saturday August 1st. Advance Saturday Grandstand Tickets start at $20 for adults and kids, ages 12 and under, are admitted free with accompaniment of an adult ticket holder. Additionally, RV and Camping guests attending the Windows 10 400 race weekend will have complimentary access to the Grandstand on Saturday with their Pocono Raceway camping wristbands. Busch, who finished second in his sole NCWTS race at Pocono in 2011, will makes his first NCWTS start of 2015 on Saturday, August 1st. Dillon, the 2011 NCWTS champion, returns to “The Tricky Triangle” as the defending Pocono Mountains 150 race winner. Harvick, driving the No. 00 JR Motorsports Chevrolet, has two victories at Pocono in NCWTS competition, as an owner in 2010 and as a driver/owner in 2011. Keselowski, driving his Brad Keselowski Racing entry, won the 2013 Pocono NCWTS race as an owner with driver Ryan Blaney in 2013. 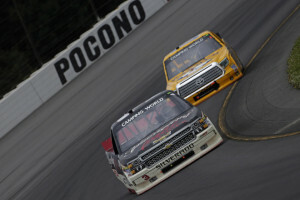 The Pocono Mountains 150 is the middle race of the 23-race NCWTS season, which has already seen seven different winners. Matt Crafton, the current NCWTS point leader with four wins this year, holds a 14-point advantage over Tyler Reddick and a 24-point advantage over Sunoco Rookie of the Year contender Erik Jones. For tickets and additional information about the Windows 10 400 race weekend, taking place at Pocono Raceway from Friday, July 31st – Sunday, August 2nd, please visit www.poconoraceway.com or call 1-800-RACEWAY (1-800-722-3929).